Spring Hill College Women's Soccer Team Action vs Florida Southern College, Sept. 9, 2016. 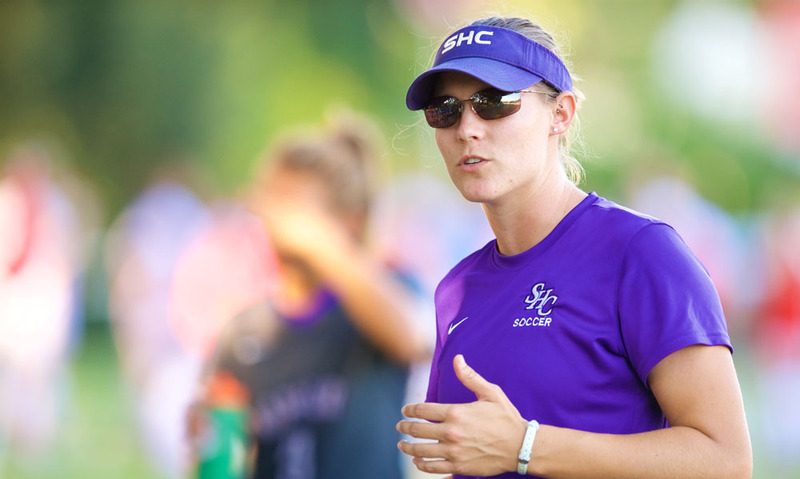 It was a little more than one year ago when tiny Spring Hill College, a Catholic college in Mobile with fewer than 1,500 students, announced its new women’s soccer coach: Birmingham native Allison Whitworth. 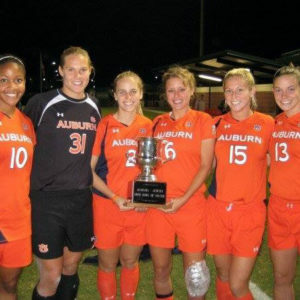 The Auburn graduate arrived in Mobile after spending three seasons as the lead assistant/goalkeeper coach and recruiting coordinator with the Ohio University Bobcats, a NCAA Division I college in the Mid-American Conference with a student population north of 30,000. 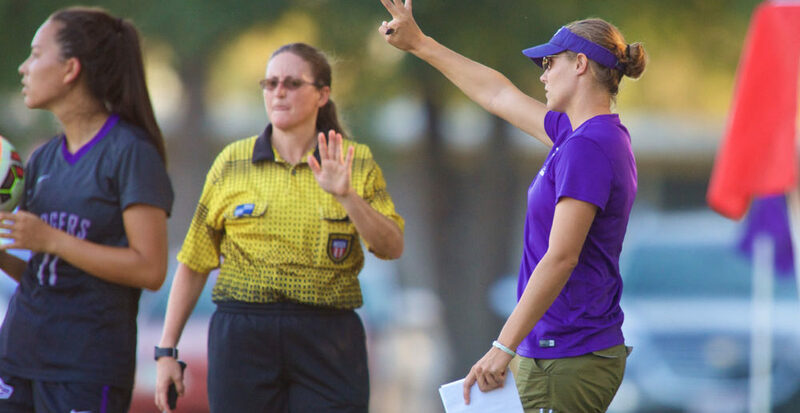 Before getting into coaching, Whitworth was a trailblazer of sorts as one of the first women to play in the Women’s Professional Soccer league (WPS), playing goalkeeper for FC Gold Pride in California and the Atlanta Beat. Despite a career that has taken her to great heights all over the nation, Whitworth is happy to be back in Alabama, even if it is a few hours south of her hometown. Whitworth in goal for the Chicago Red Stars of the Women’s Professional Soccer (WPS) league. Spring Hill tapped Whitworth to lead the women’s soccer team into the future at a somewhat tumultuous time in the athletic program’s history, one that dates back to the late 1800s with intercollegiate baseball. After competing in the Gulf Coast Athletic Conference in the NAIA for 32 years, Spring Hill made the move to the NCAA and now competes in Division II. In 2014, Spring Hill’s men’s and women’s soccer programs, and the women’s golf team, joined the Gulf South Conference (GFC), becoming the third smallest college in the league, and one of smallest colleges in 300-plus schools in NCAA Division II. The move up in competitive play has hit Spring Hill athletics hard with many of the school’s sports struggling to find wins since jumping into the NCAA — including the women’s soccer team. In fact, the GFC has had several teams in the hunt for national championships in recent years. The University of West Florida, for instance, has reached the NCAA Division II final three times since 2008, winning the title in 2012. Christian Brothers University, a small private university in Memphis, Tennessee, won the title in 2002. Gaining a foothold in the GFC won’t be easy, but Whitworth says she believes Spring Hill is on the cusp of a brighter future. 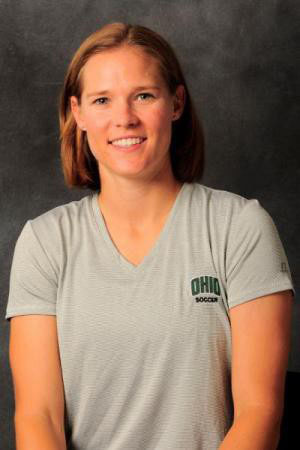 Whitworth as an assistant coach with the Ohio University Bobcats Women’s soccer team. Whitworth grew up playing in the club system throughout Birmingham, eventually graduating from Briarwood Christian School in 2004. Her honors in high school are a country mile long, including state tournament MVP, Olympic Development Program (ODP) regional pool member, Alabama ODP member, and Alabama High School Athletic Association All-State. Whitworth, second from left, poses with her teammates as a member of the Auburn University Women’s Soccer team. Recruited to Auburn to be the Tigers’ netminder, Whitworth’s collegiate career was nothing short of stunning. She set a career record at Auburn with 356 saves including 132 during her senior season, best in the Southeastern Conference (SEC). Her career total of 356 saves places her third in the SEC record book. She also registered 22 career shutouts, including eight in each of her final two seasons to tie for eighth in SEC history. Her 1.02 goals against average as a senior earned her First Team All-SEC honors. Her prowess denying would-be goal scorers caught the eye of a soon-to-be assistant coach in the new start-up professional soccer league for women — the Women’s Professional Soccer league (WPS). “We played in a tournament in Georgia, and Stanford and Virginia were the two teams that we played. Two very good, quality teams,” Whitworth explains. During the weekend tournament, Whitworth had “a ton of saves,” even saving a penalty kick in overtime against Virginia. In the stands that day was an assistant coach for Stanford who was to become the goalkeeper coach for FC Gold Pride, one of the original teams in the WPS. 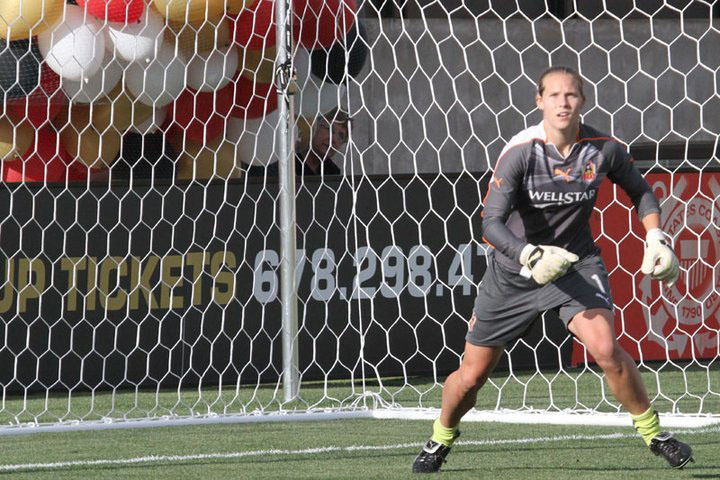 Whitworth was drafted in 2009 by FC Gold Pride in the eighth round as the 54th overall pick — ahead of 2000 Women’s World Cup hero Brandi Chastain — before moving on to Atlanta Beat. However, Whitworth points to that exact moment in that college tournament as, perhaps, the pivotal point in her career, and one that serves as a valuable lesson to the young ladies she’s recruiting, coaching, or just hoping to inspire. It’s amazing to look at Whitworth’s career and see what she has accomplished at such a young age. 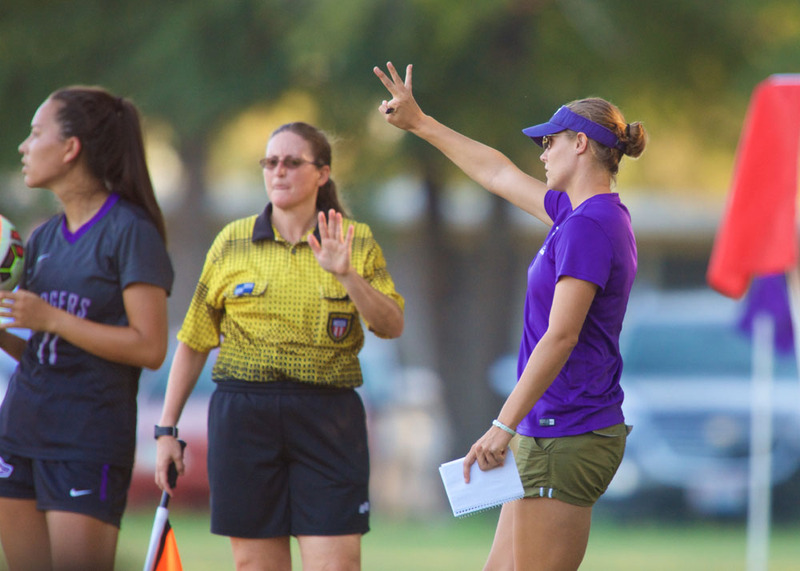 By the time Spring Hill announced her as head coach, she had just turned 30 years old, making her one of the youngest head college coaches in the nation. She is also one of the few women head coaches; however, Whitworth hopes more girls will see her experiences, and others like her, as motivation to play the beautiful game and take it as far as they can. Spring Hill College Women’s Soccer Team Action vs Florida Southern College, Sept. 9, 2016.